Air Miles sent us to Prague in February/March. We stayed in the lesser quarter in an apartment. Huge rooms, more relaxing than a hotel and cheaper. The best food was a fish restaurant on the Kampa island. 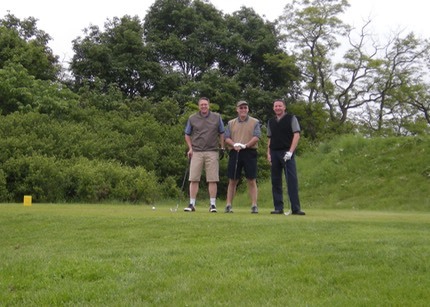 We managed to eat most of the fish mentioned on my fishing page!. We struck really lucky with the weather as it was sunny and dry and without the summer rush of visitors. 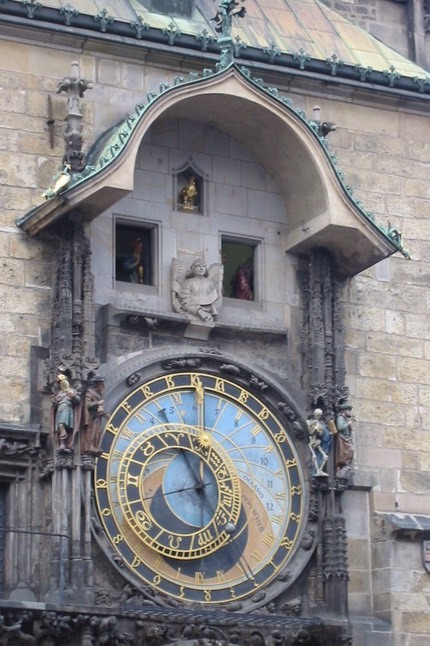 This is the astronomical clock that performs on the hour. Make sure you face it square on, otherwise you miss its full glory ! Don't eat in the Hotel in the square - its a rip off. They won't let you just have a drink and the cheapest Czeck dishes are never available. 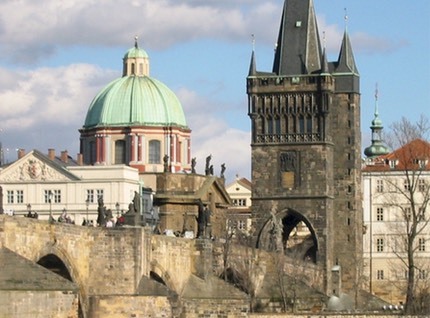 Charles Bridge is very nice with market stalls and musicians all along it. Jazz.....Nice. It makes a good start point before going up to see the Castle. Changing of the guards is worth looking out for if you like big hats. 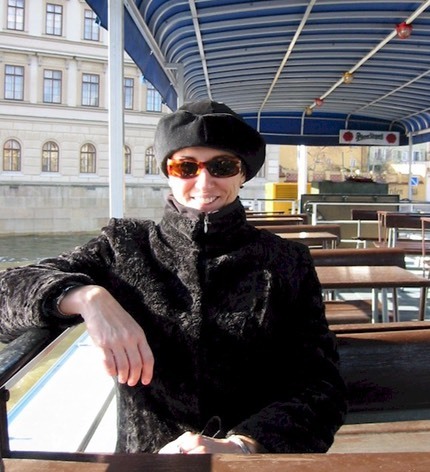 Jonna on the boat trip we took from Kampa. Wouldn't bother again. Very little is better seen from the river and the short trip is bounded by locks so you don't go far. 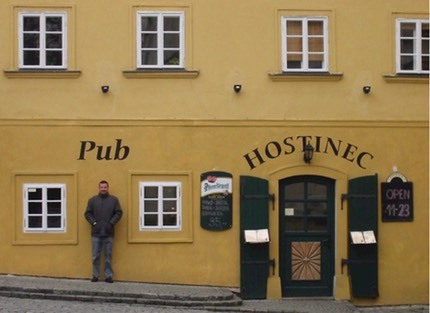 This was one of our favourite pubs, on the Kampa island. Great pickled sausages and beer cheese. 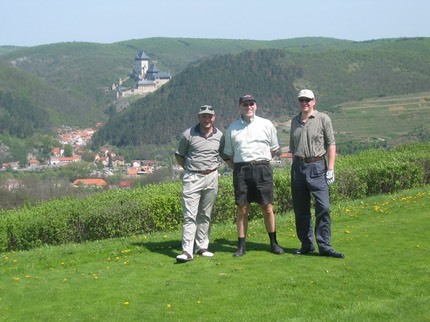 The Golf boys from 2006 at Karlstejn, a fantastic course.